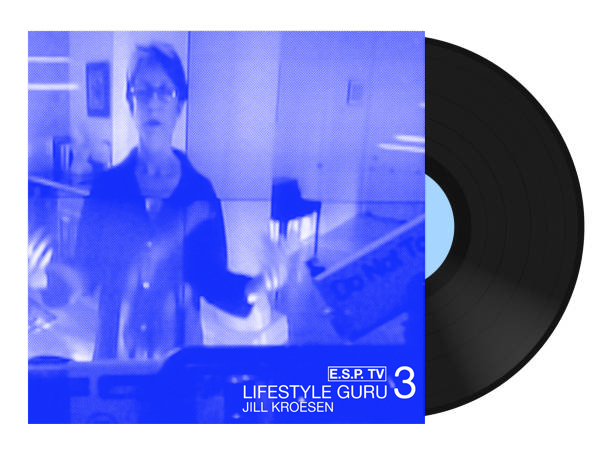 A series of three lathe-cut 7" records culled from our "Lifestyle Guru" performance with Ian Hatcher, Ben Vida, and Jill Kroesen. 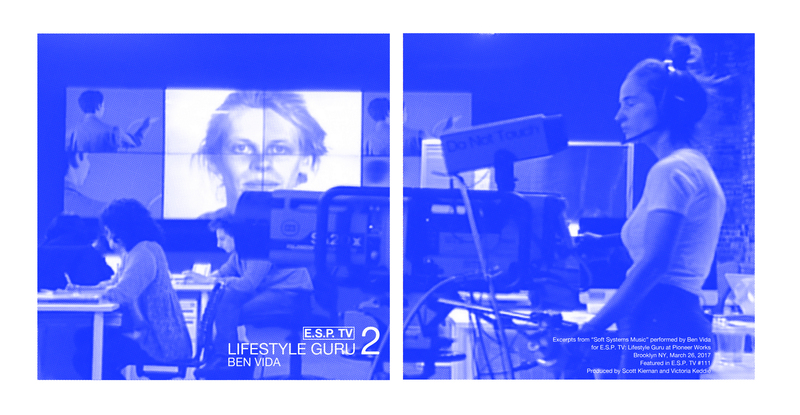 Ian Hatcher performs as an Artificial Intelligence, working with the E.S.P. TV "WORK" office and live audience, on a crowd-sourced poem to save humanity. "Soft Systems Music" creates music scored by facial recognition software. Jill Kroesen acts as motivational speaker for the E.S.P. TV "WORK" office, delivering strategies for coping with a psychopathic presidency in 2017.